Do You Realise You are Secretly Sabotaging Your Fertility? Do you realise you are secretly sabotaging your fertility? 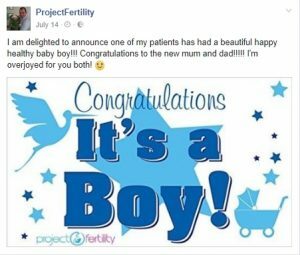 Over the years and with the 100’s of patients I’ve treated in my fertility I clinic I see women and men, desperate to have a child, yet unaware that they have been sabotaging their own fertility. Could simple foods like Chocolate and Coffee by sabotaging your fertility? A simple daily habit (hint it’s not a drug or alcohol) can cause a 70% increase in estrogen. This is linked to endometriosis and other reproductive health issues, including infertility and delays conception in a 12 month period by over 55% in women. 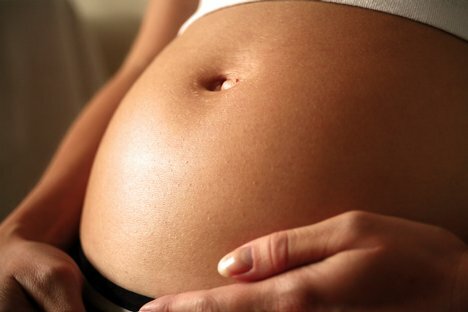 It could be effectively sabotaging your fertility. Most women aren’t aware of this. A man that eats just one slice of common food a day (and men rarely stop at just one of this delicious food), could see their sperm deformed by up to 30%. I’ve yet to meet a single male patient that knew this fact. These little details, the aspects of our daily lives contribute hugely to our reproductive health and its damage. And the chances are that you don’t know about these silent saboteurs in your food and lifestyle that can have a massive impact on your fertility health. There are two things that women REALLY need to be careful of in their daily lives when trying to conceive. And I’m not talking about wine and cigarettes. 😉 (By the way, if you don’t know about the dangers associated with smoking and alcohol I’ll be covering them in future articles). I’m instead talking about everyone’s go-to morning beverage – coffee and the world’s favourite treat – chocolate. Multiple studies have shown that a single, regular cup of coffee drastically delays conception. In fact, one US study showed that a single coffee, taken once a day decreases your chance of conception in 12 months by over 55%. That’s one cup of coffee – and you have automatically lowered your chance of conceiving this year by over half, thus sabotaging your fertility. 1 small bar of dark chocolate a day contains 70mg of caffeine….we know that just 50 mg of caffeine a can dramatically decrease live birth rates…. And yet, I know very few women who are struggling to have a child who does not enjoy at least 1 coffee a day and at least 1 bar of chocolate a day. Most are on the higher side of that. Of course, that can be upsetting, particularly in light of that fact that many women have already given up so much by the time they see me that it seems like the last final thing they enjoy and savour is being taken away…. This is why in my clinic I teach a range of techniques to manage cravings and provide delicious substitutes to coffee and chocolate like my super stimulating and refreshing fertility tea and my special dark chocolate coconut cookies. There’s also a strong correlation between fertility problems, gynaecological problems (like endometriosis, PCOS and fibroids), and repeated miscarriage and the function of the Liver in Traditional Chinese Medicine (curious, click here to learn more). I mention this because in TCM food therapy is a crucial aspect of the healing process and Alcohol, Coffee and Sweets like Chocolate are all seen as damaging of the Liver in TCM. But I’m not forgetting the men….that one slice of food – its bacon. Again there is an agreement in both western and eastern medicine on this front. The Journal of Fertility and Sterility (http://www.fertstert.org/article/S0015-0282(13)02544-2/fulltext) found that just one slice of bacon or one sausage link, eaten once a day deformed and mutated the sperm. In fact, the study concluded that men who consume that amount have 30% fewer normal sperm than men who don’t. From a TCM point of view, this makes complete sense. In TCM we often see men with poor sperm are suffering from weakness of the Kidneys (curious, click here to learn more). And salty foods, like Bacon, top the list of foods to avoid in TCM when treating poor functioning Kidneys and low reproductive health. These are just a few points of diet and nutrition that can have a devastating impact on reproductive health. There are much more but beyond the scope of this short article. Of course, there’s little point cutting out coffee, chocolate and bacon if other more serious and unknown factors are not properly diagnosed and treated. As a specialist in reproductive health, it’s my job to find these answers. To discover the big and small little roadblocks in your body that could be preventing conception. So here’s my expert advice…. Download my free fertility guide on “The 9 Reasons You Can’t Get Pregnant and How to Fix Them!“. It’s packed with more information on exactly how these foods can impact your reproductive health. Schedule a free, online fertility troubleshooting session with me so I can personally figure out your next best step to get pregnant and have a happy healthy child. In the meantime, if you are planning on starting a family, or have had problems with conception and maintaining a pregnancy in the past then please feel free to stop by the Facebook page and ask me a question and I’ll do my best to help. You’ve been reading about Secretly Sabotaging Your Fertility. Check out my next article here on caffeine and fertility.